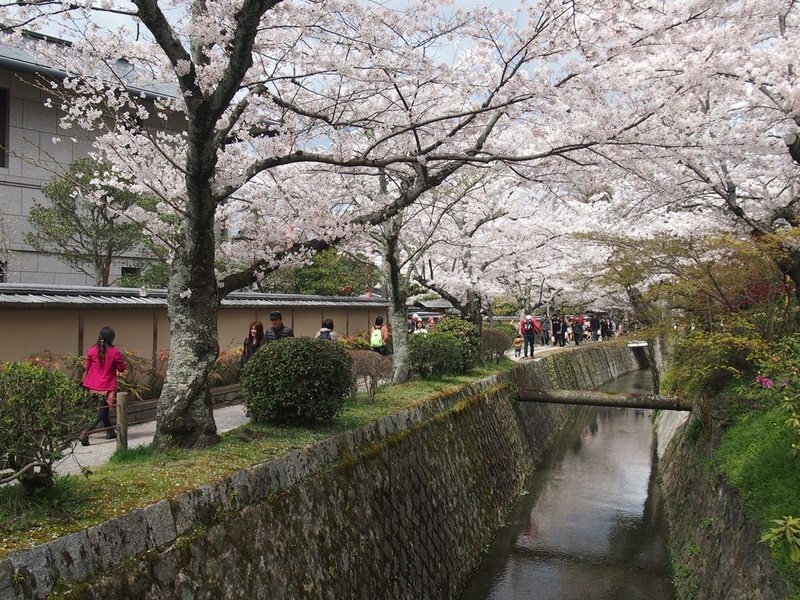 This name refers to a narrow street that runs along a small canal surrounded by cherry trees in the north-east of the city, about 1 km and a half long. 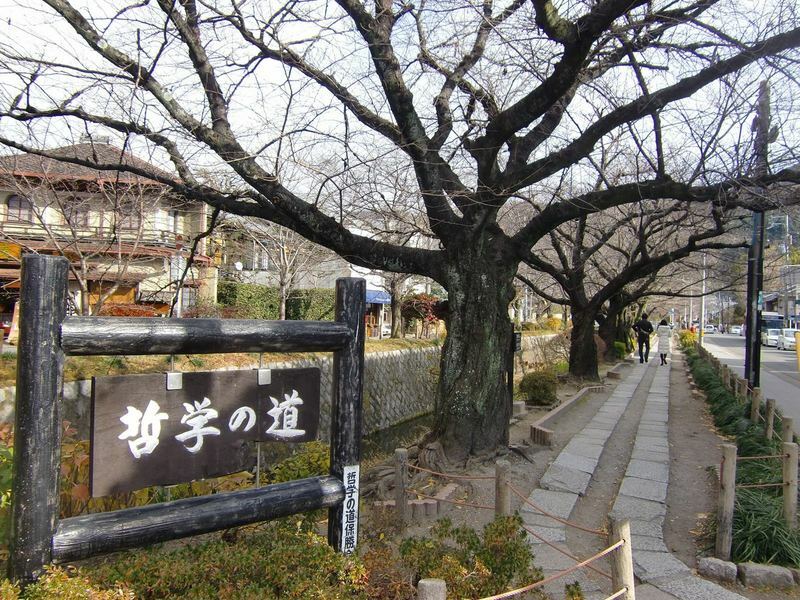 Its name comes from the Japanese philosopher of the first half of the 'the 900th Kitaro Nishida, who taught for several years at the University of Kyoto, and it is said he used to walk along this street during his moments of reflection. Doing a simple walk through this area as the philosopher Nishida used to do in the last century, especially in April when the cherry trees are in bloom, is already a great thing to do. Making small detours along the way, you can also visit various temples and shrines. 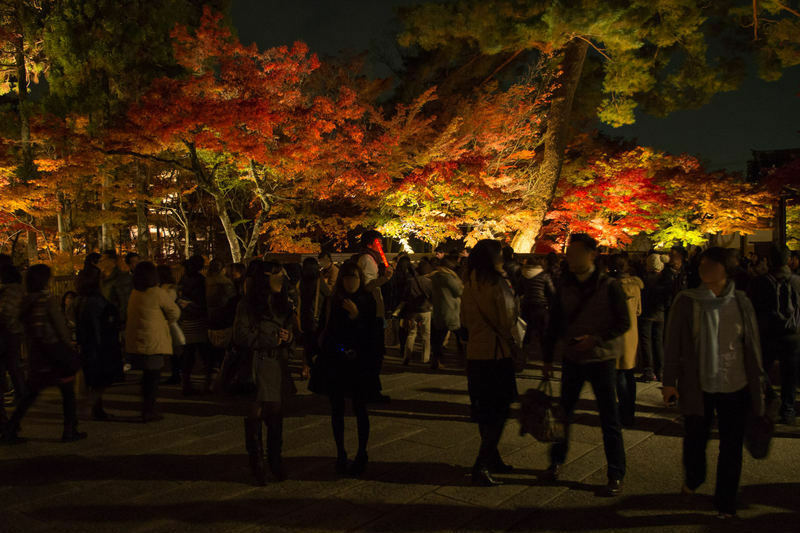 Moreover, at the ends of this path you can visit three of the most famous temples of Kyoto, that most of all worth a visit, the Ginkakuji temple in the north end and the Nanzenji and Eikando temples in the south end. This temple, whose official name is Jishoji, but commonly known as Ginkakuji (literally "Temple of the Silver Pavilion"), was built in 1482 as a reproduction of the famous Kinkakuji (see Northern Kyoto). The main building of the temple can not be visited, but the most famous building is right its Padiglione d'argento, which in fact was never covered with silver and is thus presented as a normal wooden temple. This pavilion is the only building that survived the centuries and dates back to the period of the foundation of the temple, along with another small building (Togudo). 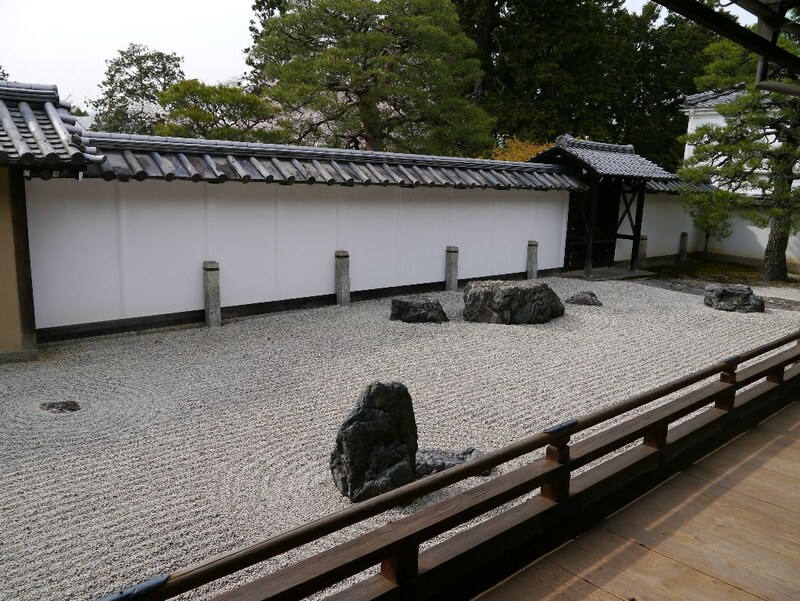 The gardens of the temple are also very beautiful, in particular the rock gardens, which are among the most charming of the city. From the back of the temple you can climb a path up a hill from where you can see an overview of Ginkakuji from above with the houses of Kyoto in the background. It is one of the most visited temples in the city, then, if you can, go there in less popular days and hours in order to better enjoy the magic of this kind of places. 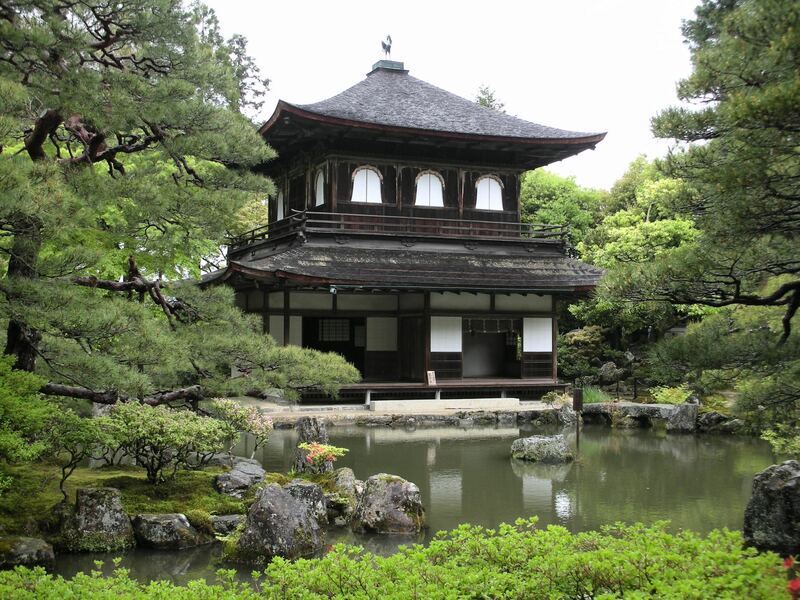 One of the most important Zen Buddhist temples in Japan, it covers a large area with beautiful gardens. You can have free access to the temple, while the entrance to some buildings has an entrance fee, in particular to the entrance gate (Sanmon, 500 YEN) and to the main building (Hojo, 500 YEN). There are also several small temples, also with admission fee: the Nanzenin Temple (300 YEN), the Konchiin Temple (400 YEN), the Tenjuan Temple (400 YEN). An element at first sight pretty strange within this temple is a portion of a red brick aqueduct, part of a system constructed in 1890 to carry water from the nearby Lake Biwa to Kyoto, which is still used today and to which belongs the channel that runs along the Philosopher's Walk. 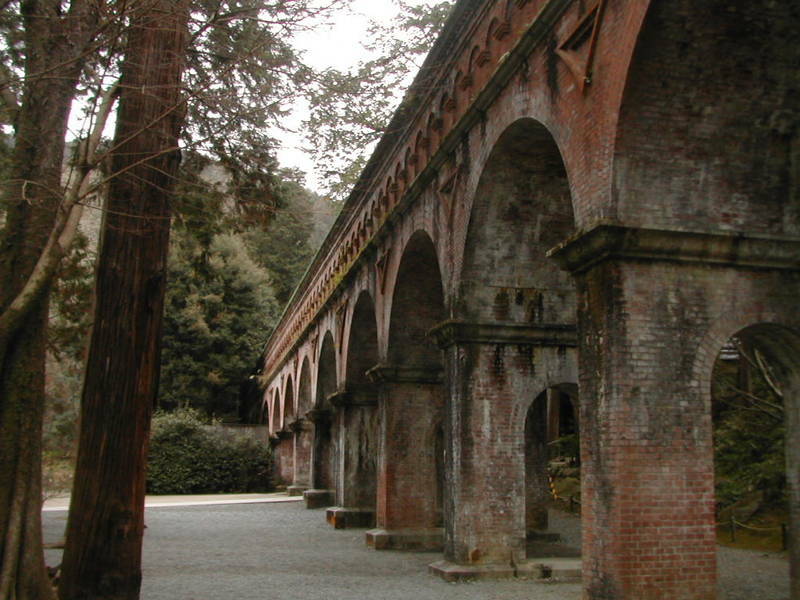 It is very curious to see a building like this in Japan, it looks like a Roman aqueduct of those found in many Italian cities. About 800 meters north of Nanzenji Temple, this temple is comprised of several buildings that are scattered among the trees of the hills of Higashiyama, among which stands the Tahoto Pagoda, which can also be visited inside. The temple buildings are connected by very fascinating wooden corridors and staircases, they're maybe the best example of this type of construction in Kyoto. 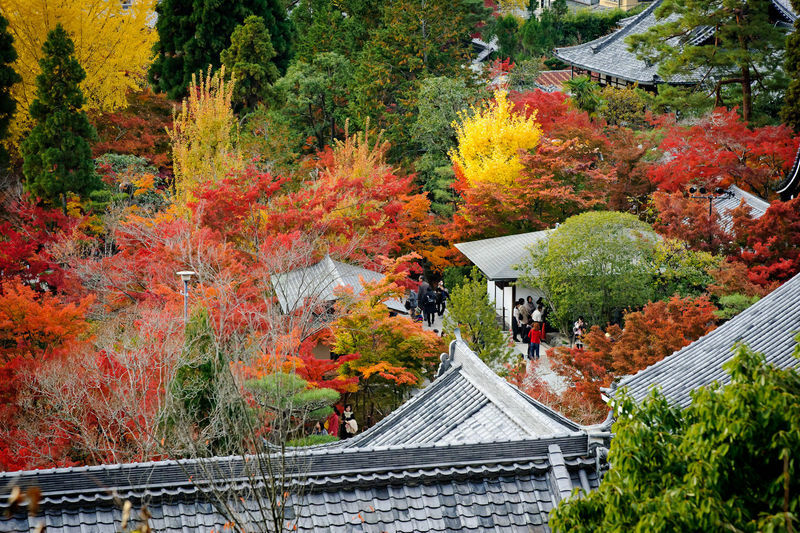 The most famous things of this temple are, however, its trees during the autumn season, when the gardens and trails of the temple are assaulted by tourists. 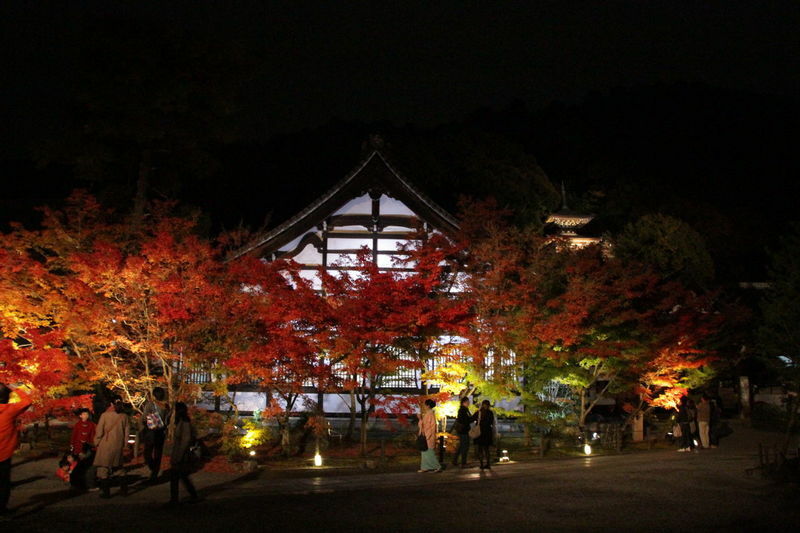 In November is set up a special lighting and the temple is open also in the evening. 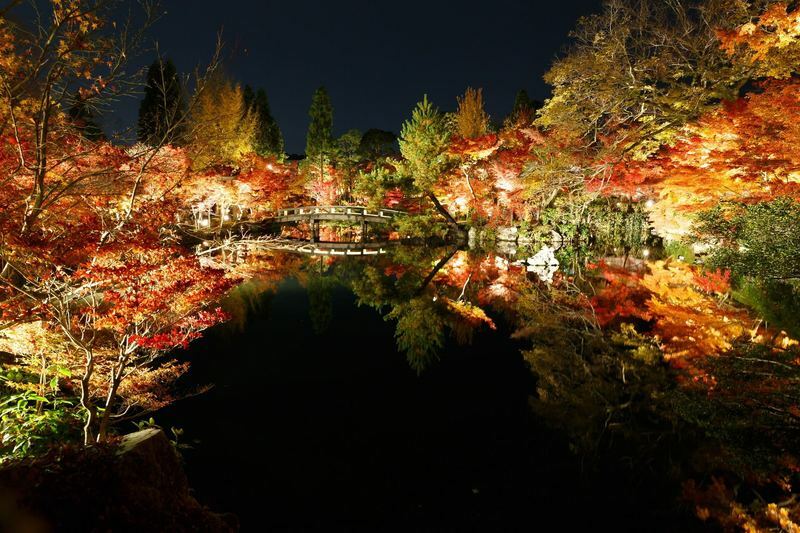 According to some people, it is the temple which offers the most beautiful autumnal view of all the temples of Kyoto. Very few hotels in this area a little isolated from other areas of the city, I don't recommend staying in this area. This area must obviously be explored on foot, walking from south to north or vice versa. The starting point of your walk can be, therefore, the temple Ginkakuji (north) or the temple Nanzenji (south). There isn't any railway or subway station nearby. You can reach this area by bus, in particular through the lines number #5, #17 and #100. The nearest station is Keage Station (Tozai Line of the subway). For all other temples, just follow a map and walk.